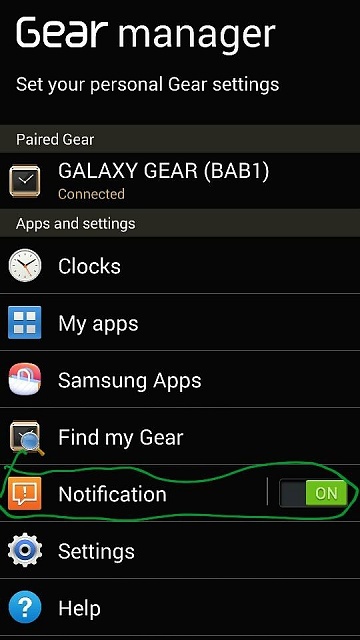 How do I get Gmail notifications on my Galaxy Gear? 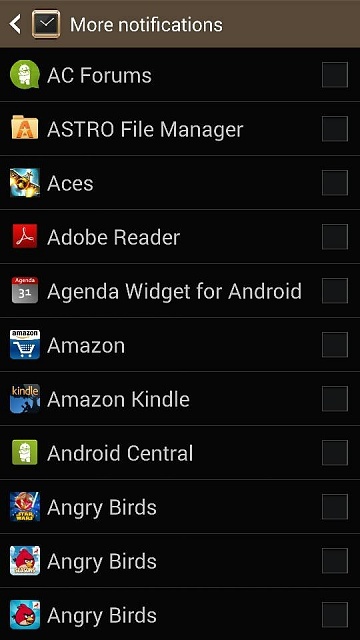 Hello All, new to androidcentral. Hope you can help. I've had the Gear since it came out paired with my Note 3. I get text notifications on my Gear and I just found out I should be able to get Gmail, Facebook & Twitter notifications as well. Julie Basham, PrePlus79 and Srelyea1 like this. 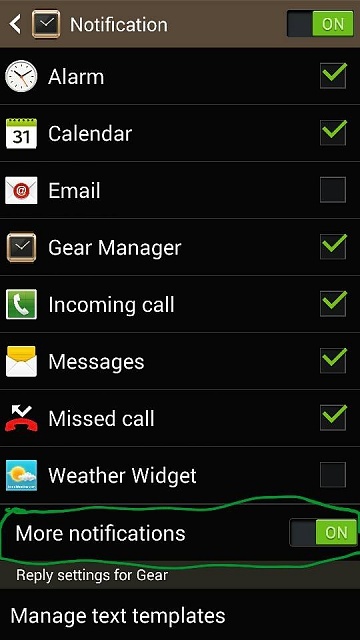 And then here you can pick what ever you want to show on your galaxy gear. No problem I hope it helped and you can ask away here on Android central it is a great place. I'm having the same issues with Gmail but I can't see the link you posted elvis. Where did the links go? Scroll down to Gmail and select it. This doesn't work for my Galaxy Gear? I have tried it many times, to no avail. From a different thread, it works so long as my note 3 s screen is off. I have no problems with my GMAIL notifications either. By design, you will not get notifications unless the screen IS off. I imagine they assume that if the screen is on, you're actually looking at it. If you have any technical issues, you can also call Samsung Mobile support at (888) 987-4357. Yeah, it's fine now. Thanks for the support # though. I have a galaxy S5 with all the gear manager notifications activated - messaging, gmail, facebook, etc. I only get messages and not all the time but I don't get Gmail or Facebook notifications. Now to make it even more difficult I did get Gmail notifications for a day but nothing since. Very inconsistent. Called Samsung Mobile Support and they were completely useless. All updates have been applied to the Gear and phone. Any thoughts? I know the screen has to be off, basically the phone is in hibernating mode in order to receive messages but again doesn't seem to work all the time. Has any manager to figure out the magic formula to setting this up to be more reliable? Having the exact same issue both with Gmail and a third party account. I reset the factory mode and it works for a second for email, and then nada. Any update on this? I just got an S5 and Gear 2 and I cant get twitter notifications on my Gear. any thoughts? ?